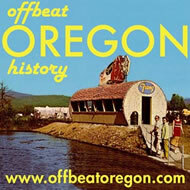 Editor's Note: This article, one of the first Offbeat Oregon pieces I wrote, has been rewritten. 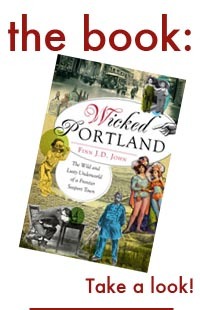 The longer and more thorough treatment of this subject can be found in this Offbeat Oregon article, published in 2014. In the late 1800s — when the railroads were being built and the forests being cleared for agriculture and the streams panned for gold — a sort of “bracero” program got started. 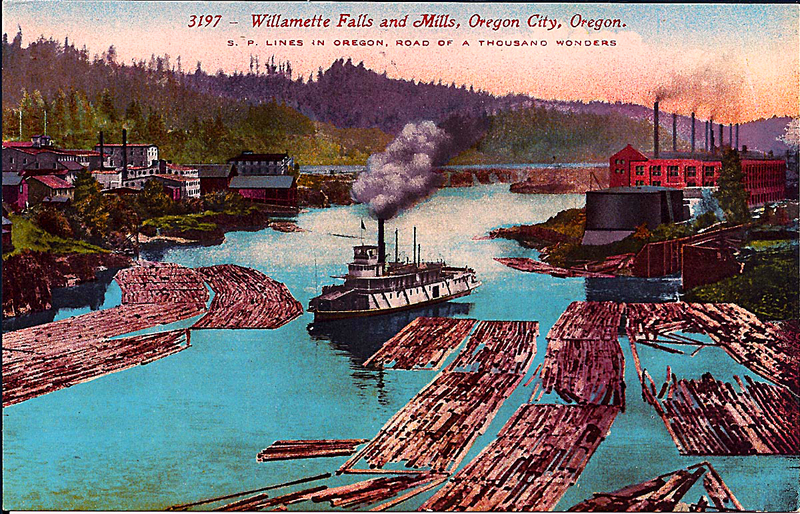 Chinese laborers — called “coolies” after the Chinese term “ku li,” meaning “muscle strength” — poured into Oregon. Little is known today about the Chinese. 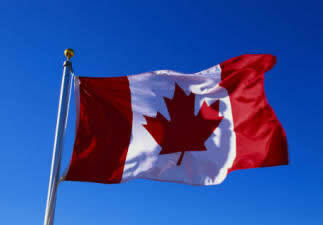 Most had great difficulty learning English and spoke a pidgin version that the U.S. and British settlers found amusing, but not very useful as a basis for social connections. And most of their records were destroyed when San Francisco burned following the great earthquake in 1906. Presumably the Chinese government has records as well, but it hasn’t shown any willingness to share them. And then, of course, there was also old-fashioned racism. 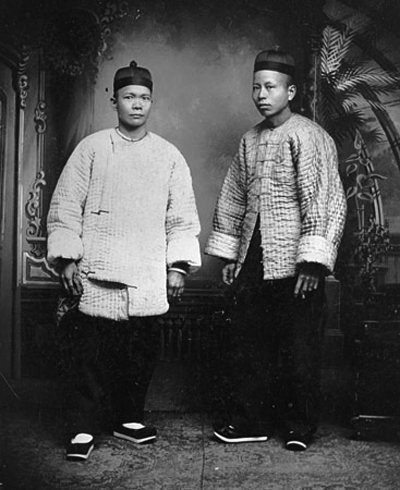 What is known is that the Chinese in early Oregon were treated as second-class citizens — openly so. There are tales of them being shot, assaulted and stolen from with little consequence, and when the need for cheap muscle began to be fade, the government slammed the door and started encouraging them to leave. But in John Day, there was one Chinese man whom the local residents would “posse up” to protect, if they had to. His name was Ing Hay — better known as Doc Hay — and he was a skilled Chinese herbalist/physician. 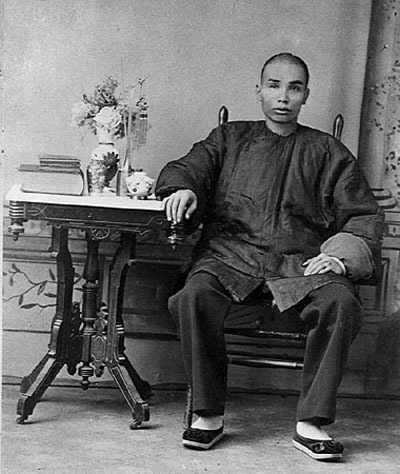 Hay was born in 1862 in the impoverished Guangdong province in China. At first he did ku li work in the Walla Walla area, but later he moved to John Day, where he met a fellow traveler from the same part of China, Lung On. Lung On was as boisterous, fearless and charismatic as Doc Hay was shy, quiet and humble. Soon the two had gone into partnership. Doc Hay healed people, and Lung On was his publicist. At first, Hay just served other Chinese expats. But soon rumors of his effectiveness got around and citizens of European extraction started coming to him as well. He proved very effective in dealing with septic infections. And septic infections were a big deal. Back then, every time you cut your hand or even pricked it on the wrong piece of barbed-wire fence or rosebush, you faced a real risk of death. If you were unlucky, your hand would swell up the size of a grapefruit, red streaks would appear on your skin moving toward your heart, and you'd die. Western medicine, at the time, was essentially powerless against this. The settlers in John Day were a hard-working, hard-playing bunch. But they certainly weren’t stupid. They couldn’t help but notice that people would go to “white” doctors and die; they’d go to Doc Hay and get better in a few days. 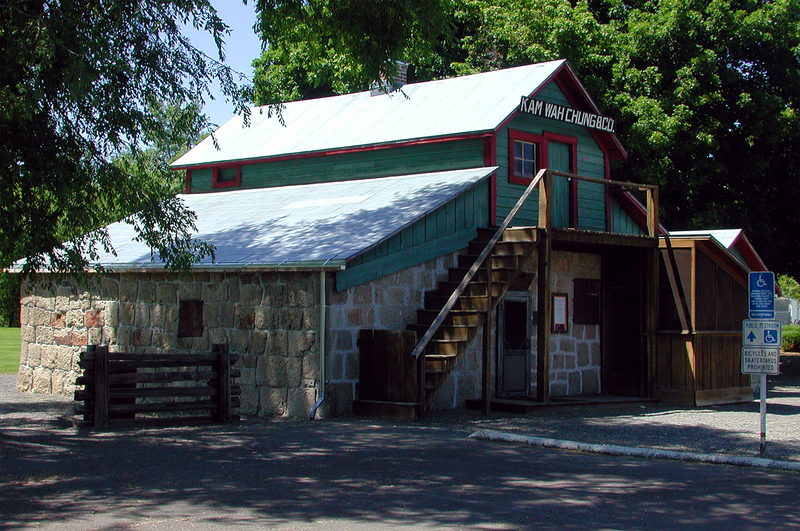 Soon the citizens counted Doc Hay as a municipal treasure. Chung State Heritage Site) [More images: See OPB "Oregon Experience"
Other doctors, of course, were very jealous and tried to have him prosecuted for practicing medicine without a license. Which, of course, was correct: He had no license or formal credentials of any kind. The problem was, no jury in Grant County would convict him. For them, his record was license enough. Another interesting side note: Not a single one of Doc Hay’s patients died during the terrible Spanish Flu epidemic that killed so many people around the world — about 3,500 of them in Oregon — in 1919. Not one. When Doc Hay finally died in 1952, his place of business, the Kam Wah Chung & Co. (“Golden Flower of Prosperity”) building, was boarded up and deeded to the City of John Day. In 1967, the city belatedly realized it owned the place and had the boards removed; the city later turned the place into a museum, which is well worth visiting.